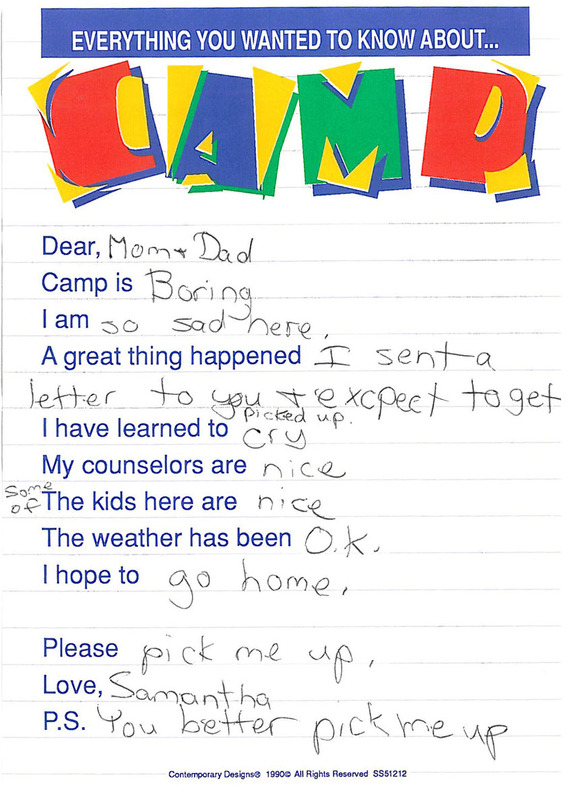 I love your childhood notes/letters...but this one takes the cake. I'm dying to find out. Did they ever pick you up? haha thanks ladies! sorry, aleja, i'm not telling you how this all turns out. You're just going to have to tune in and see! Maybe i'll still stuck at camp now, writing this comment! ooooh the suspense! "I have learned to cry"
HAHAHA!! I know, Marissa! ridiculous, I love it though!